The other night I met some friends at a local gathering spot in Jupiter, Florida, known for its music. Every so often, should the urge hit me, I will head out to listen to new bands. My friend invited me to go listen to a band called SIRSY and although I never heard of them, I trusted my friend for her musical instincts and good taste. 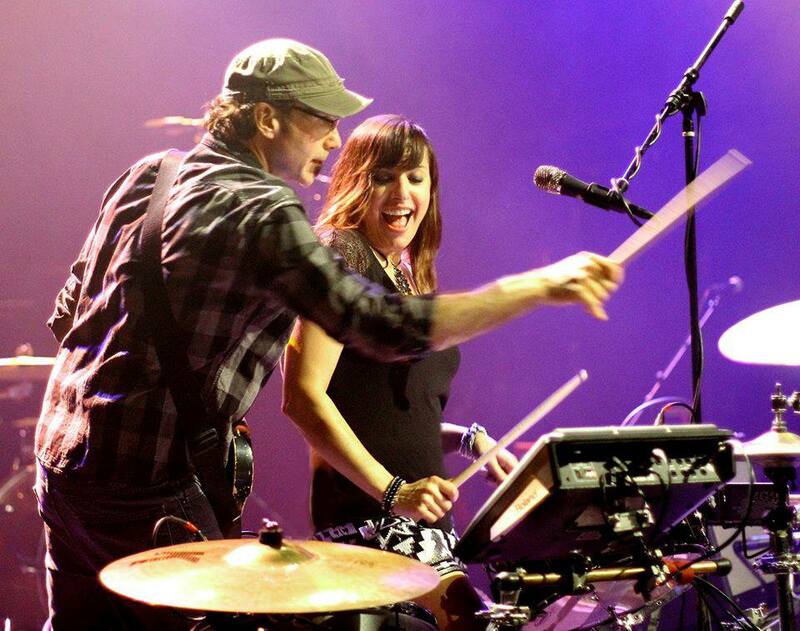 The band is actually a duo out of Saratoga, New York. Yet, the interesting thing about SIRSY (named after Melanie’s childhood nickname) is the audience is treated to the sound of a full band. I am all too familiar with trying to put a band together with all the essential pieces: lead and rhythm guitar, bass, drums and of course, great vocals. It is hard to pull it off sometimes without a tight rhythmic section and a good band is only as strong as the lead singer. It is refreshing when you hear a band that is both original and pleasing to the ears. I was surprised to hear this duo perform their own arrangements and do so with a charismatic and energetic approach on stage. 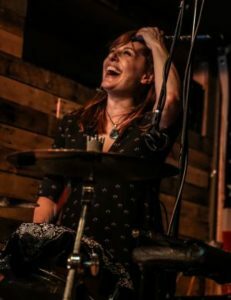 Melanie Krahmer is the lead vocalist and percussionist. To say this lady has strong vocals would be an understatement. Melanie can flat out sing. She utilizes a sampler pad for bass parts with her drum stick and incorporates flute in certain arrangements. Her ability to sing while playing drums at the same time would make many bands jealous. 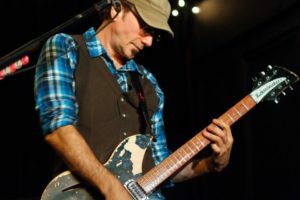 As for the rhythm and lead play, Richard Libutti puts it all together with a blend of his Rikenbacker electric guitar solos and his effects pedals. His styles vary from reggae, blues and rock rhythms. He makes fine use of special effects on his pedal board, that compliment each arrangement and plays bass with his feet. SIRSY plays its own mix of blues, rock and alternative tunes. Whether you prefer the original upbeat tunes such as “Lionheart” or “Revolution”, to a catchy ballad “Brave and Kind”, there is something here to please everyone in the audience. Most importantly, what these two musicians do together is have fun playing music. You can see it during their performance. So in addition to buying their latest CD, you might want to see them live when they come to your area. Check for their tour schedule at www.SIRSY.com. This entry was posted in Other, Reviews, Uncategorized and tagged SIRSY. Bookmark the permalink.